Wondering how to buy breast milk? You’ve come to the right place for easy and private way to contact mothers with breast milk for sale. We have some tips for you to make it a great experience for both you and the seller. Interview a few sellers to make sure you have a great fit. Most sellers are happy to trade emails with you and answer your questions. Be prepared to pay for shipping and other expenses. Make sure the seller has a good packaging method. Milk packaged with dry ice is the best. Use PayPal to pay. It is the safest way to pay, as you can get your money in many cases such as fraud or if they don’t send out the package. Ask for references via their feedback left in our review section. Great! Now your breast milk just arrived what do you do next? Pasteurize it! 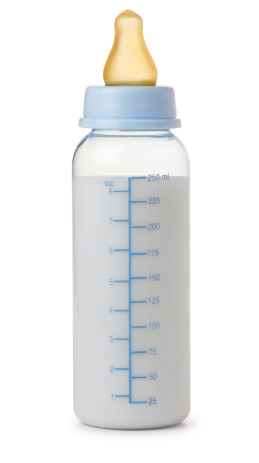 ALL MILK INTENDED FOR HUMAN CONSUMPTION MUST BE PASTEURIZED BEFORE CONSUMING OR FEEDING TO A BABY.Please see our at home pasteurization tips. To help calculate how much breast milk to leave for feedings, the following formula is helpful.Â A baby will usually consume approximately 2.5 ounces of milk per pound of body weight in a 24-hour period, up to a total of 32 ounces.Â For example, a 12 lb. baby will need a total of about 30 oz. of milk in aÂ 24-hours period, which equals about 3 to 3.75 oz. per feeding for 8-10 feedings. ….Got the Breastmilk, Now What? !